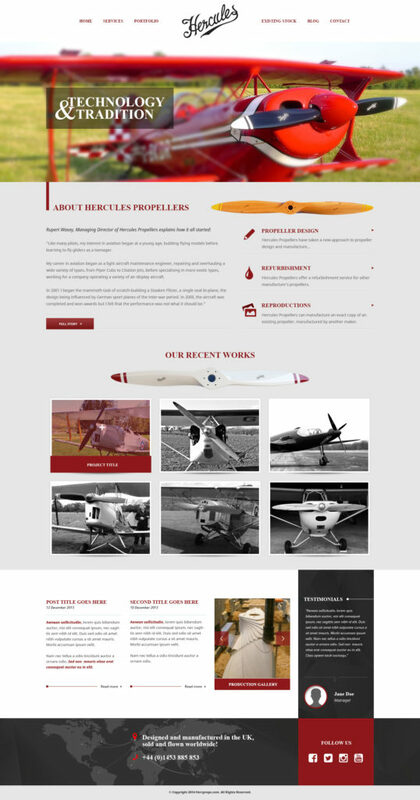 Established in 2008, and based in Gloucestershire Hercules Propellers started out as the brain-child of company founder and owner, Rupert Wasey. In the years since Rupert crafted the company’s very first propeller, things have gone from strength to strength, with hundreds of different propellers having been born in the factory, and hundreds more sent in, refurbished and restored to things of beauty. Now Hercules Propellers is enjoying great success and is able to boast stunning performance results through employing a highly skilled team. The company produces propellers for a wide variety of types, from First World War fighters all the way through to composite speed and racing machines. From their Gloucestershire location Hercules Propellers are local to the Stroud, Nailsworth, Stonehouse etc area so ideally placed in the Cotswold landscape.